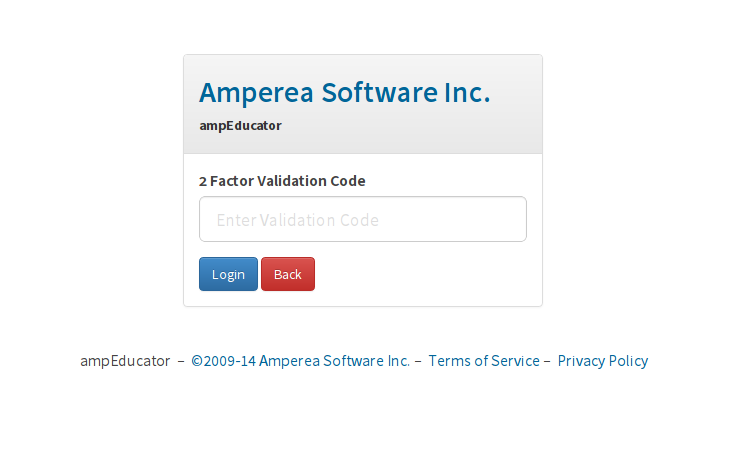 Two factor authentication allows you to add an extra layer of security to your ampEducator account. When enabled, in addition to entering your regular username and password, you are required to enter a 6 digit validation code. The validation code is generated by the Google Authenticator app on your smartphone and it's different every time you login. With 2 factor authentication enabled the chances of unauthorized access to your account are reduced since an attacker would required your username, password as well as access to your smartphone. How do I setup two factor authentication on my account? To setup 2 factor authentication follow these steps. Under 'My Account' click on the '2 Factor Authentication' tab. Click on 'Enable'. This will generate a new Secret Key and QR Barcode. Open the Google Authenticator app on your smartphone and either scan the barcode or manually enter the secret key. After successfully entering the key you will be presented with a 6 digit code. Enter this code into the validation box. If there were no issues then two factor authentication was successfully enabled. Next time you login you will be asked to enter a validation code. 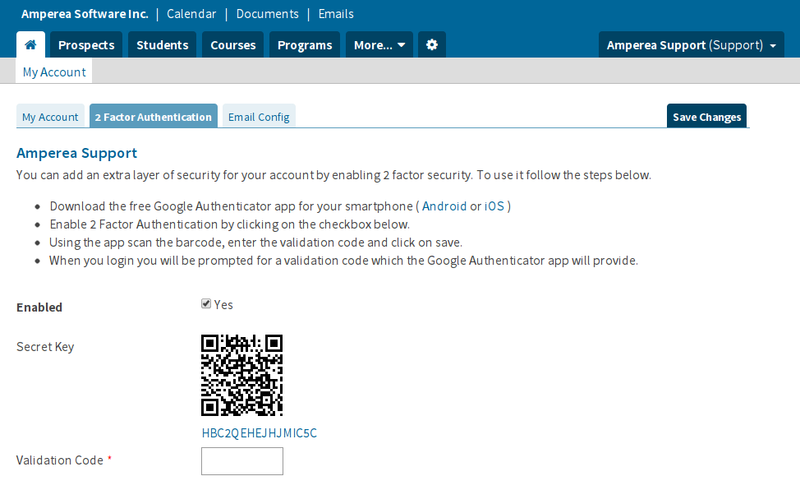 Launch the Google Authenticator and enter the validation code it presents in order to login. In the case that your phone in lost / stolen then you must contact technical support at support@amperea.com in order to gain entry into your account. For further reading on two factor authentication see http://en.wikipedia.org/wiki/Two_factor_authentication. Please email support@amperea.com if you have any questions, comments or concerns.